Born and raised in Philadelphia, Pennsylvania, Arthur Chinofsky had the upbringing and childhood every average Jewish kid had in the North Eastern Unites Stated. Of Jewish decent, Art was raised in a family of five, being the oldest with two younger brothers. Up until the age of 13 when he had his Bar Mitzvah, he practiced the Jewish faith. Art finished high school in Philadelphia and, around that time, he got more interested in motorcycles than he had been his whole life. 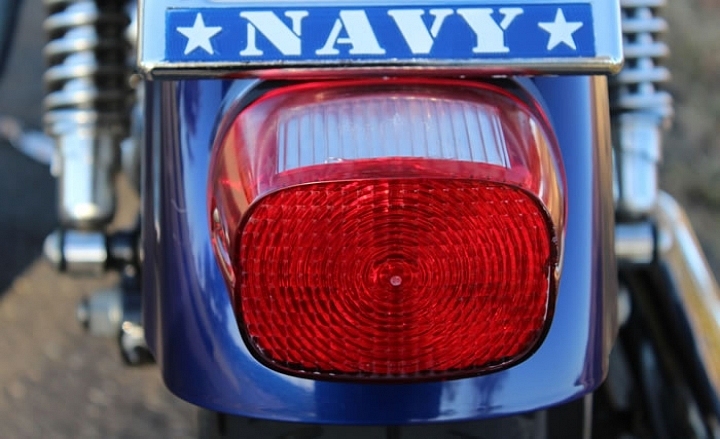 At the age of 21, he joined the Navy and started riding motorcycles. His first motorcycle was a 1972 Honda 350 Scrambler. Art had it for a year and one day, when he was coming back from New Jersey, he had a wreck. Thankfully, he was not hurt. A family heard the wreck and came out to help him. The bike was ride-able and so Art rode off with minor cuts and scrapes for the two hours remaining in his journey. A few years later, in 1978, Art got his next motorcycle – a Yamaha 500 one cylinder. He bought it from a fellow sailor. He had it for a couple of years while he was serving our country from 1975-1983. Since 1991, Art wanted a motorcycle but for sometime after that, he didn’t own any; he only rode his friends’ bikes. 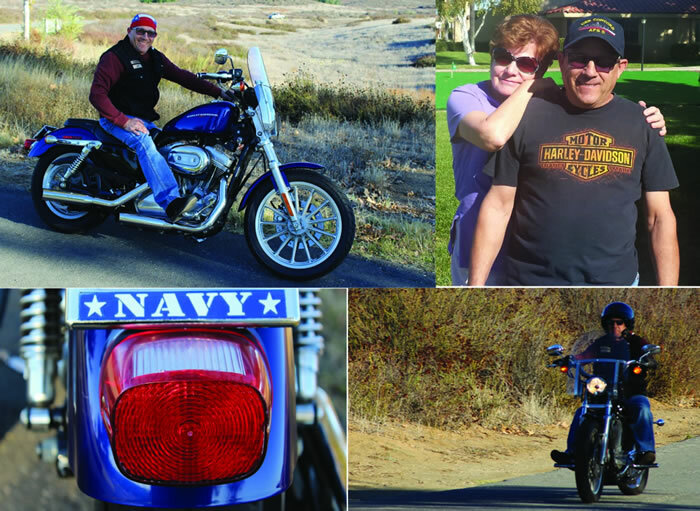 Fifteen years later, in 2006, he bought his Harley – an 883 Sportster. The desire to purchase a motorcycle again was birthed when Art visited Germany. In Germany, Art rode for 160 miles on the back of a Sportster on a Badlander seat. Most would never want to see a motorcycle again but Art couldn’t wait to get back home and buy one. Living in California, he had to commute 100 miles to work round-trip for five years. His Harley became his primary mode of transportation. Art moved from Pennsylvania to San Diego and went back in the Navy. He rented an apartment where the landlord was a Christian lady from Germany named Dina. Dina and her daughter started to share the Gospel with Art. Although he knew about Jesus, being Jewish, he did not accept Him as the Messiah. He was living the life sailors lived in the 70’s with lots of partying, alcohol, and drugs. As Dina and her daughter kept telling Art about God and His Son, Art slowly started to inquire about God. The fact that Art “liked” the landlord helped. Late one night, after partying all night and high on several different drugs, Art’s heart was palpitating strong, fast, and felt like it was going to come out of his chest, Art recalled. At the same time, Dina was praying for Art to stop all his ways and get saved. For sometime after that, he stopped doing drugs. However, the lure was strong and he slowly got back into it once in a while. Somehow, all his drug friends and contacts disappeared. Sadly a year later, Art had gone back to his old ways but, on Dina’s birthday in 1985, Art partied really hard. He woke up the next day with regret and the desire to continue living that lifestyle was completely gone. On June 5th of that year, Art and Dina got married. Art never touched drugs again. Being off drugs, Art realized the reality he was trying to escape from was not that bad. He now had a new wife and a new life, Hallelujah! Art and Dina have been married now for 30 years and Art has been a Christian for 31. He has been a Chaplain with a motorcycle ministry he was a member of for eight years. He didn’t want to ride with a secular group. He wanted to have people to pray with before and after his wind therapy. Art has been involved in feeding the homeless with various ministries, loading his truck twice a month and bringing food to the needy. An auto mechanic by trade, he loves to work on his bike when it’s needed and ride every chance he gets. 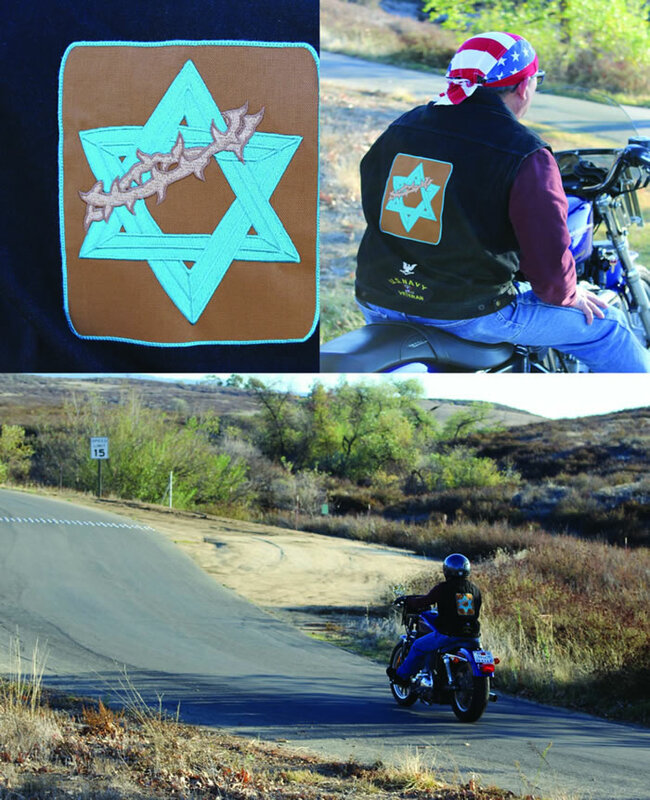 “The difference between riding when I wasn’t a Christian and now,” Art said, “I used to ride just to get the thrill of riding, but now, I’m riding for my Lord and Savior, With Him by my side it makes all the difference in the world!” A German, a Jew, and Jesus…God sees no race, no color, no ethnicity. Only God can use a German to tell a Jew about His love! Art’s dream bike: Harley FLSTFI, but he is happy with his bike.